Friday I was in NYC to pick up my Google Glass at the Glass Basecamp. Google did a good job making it fun; the mimosas helped for sure! I chose the tangerine color. I talked to people who advised choosing a color that blended in, but thinking to myself that “blending in” while wearing Glass was not an option, I opted for “Standing Out”. 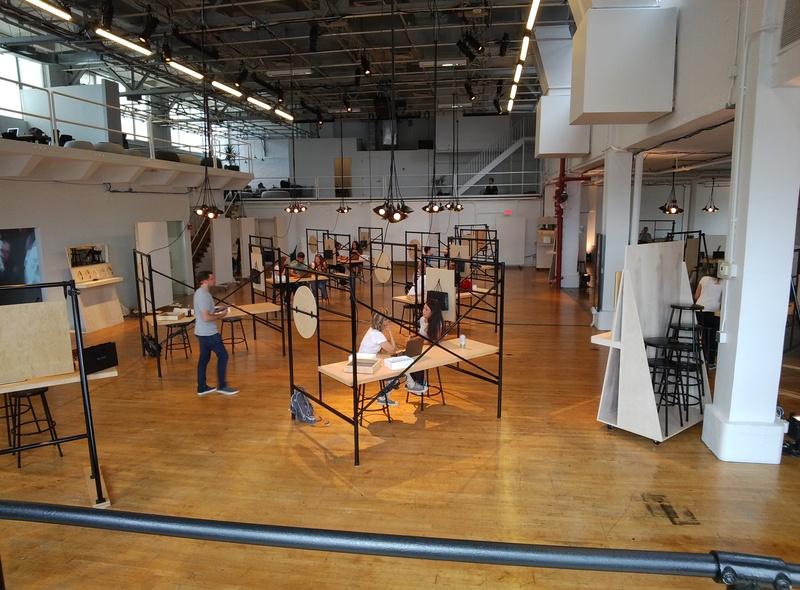 Glass Basecamp is a loft/warehouse space in Chelsea Market. Not too many people were there at one time so it had a comfortable feel. My Glass Guide, Kirsten (sp?) said she handled 2-3 people a day. She reviewed all the essential starting out and survival skills for Glass, but of course within an hour after leaving I had forgotten most of them. I’m beginning to consolidate my skills now on my third day. Still buggy and/or I’m still on a learning curve. Almost all of the control over the device is through voice commands and swiping across the touchpad (the right spectacle arm) with your finger. Both of these are sensitive and sometimes even crotchety. I think #GoogleGlass has a much broader range of uses than I imagined. Very few people know what the heck you’re wearing so they leave you alone. The ones who do recognize Glass are eager to know what you think about them. I asked a friend of mine to tell me what it was like to talk to me while I was wearing Glass. #ifihadglass I would help us see a future full of potential, joy, trust, and the New Wisdom we can find together when we look more clearly. This entry was posted in Change, Innovation, linkedin, Uncategorized and tagged GoogleGlass. Bookmark the permalink. So cool – How did you pull off getting one? Wonderful post, Carmen. I look forward to reading (and seeing) more of your #googleglass adventures. I’m so anxious to hear how you like it, how you’re using it, and all your impressions! Cn you wear google glass ove prescription glasses or do you need to get a special set? Peter: I’ve been able to tuck my glass over my prescription glasses. I have rimless glass which helps. Some people’s eyesight is so bad they can’t see anything unless they have their own glasses on as well. Google know it will have come out with a prescription glass option.